The Stampin' Up! Holiday Supplement 2014 goes live today! 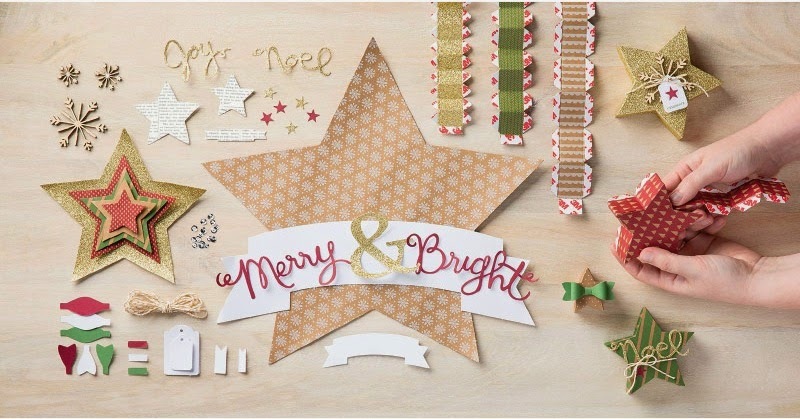 This little supplement is filled with inspiration for your holiday projects and gift giving! The products in this supplement are while supplies last, so be sure and order now! 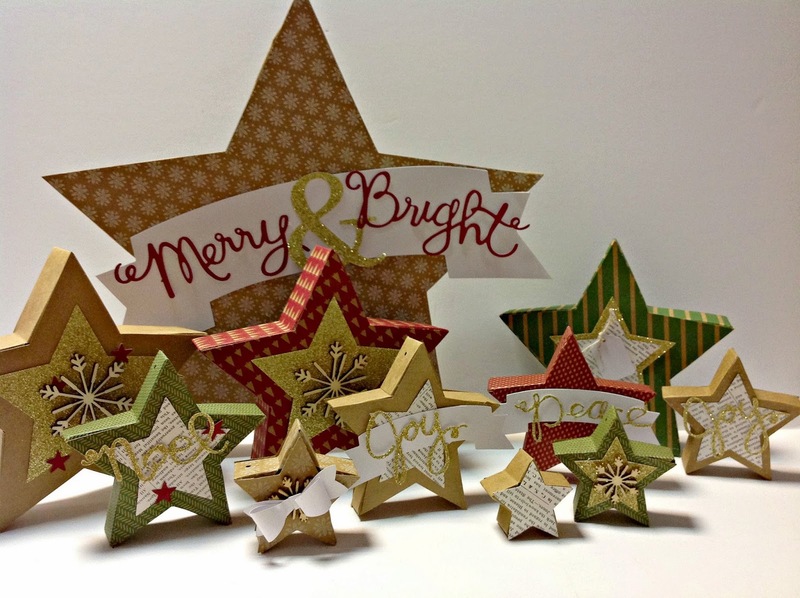 One of my favorite new products in the supplement is the Many Merry Stars Simply Created Kit. In the kit there are enough supplies to make 26 stars in 6 sizes to make beautifully decorated star boxes. These are perfect for gift giving or hanging on your tree, decorating a wreath or sitting on your mantle. This would be a fun project to do with children of all ages! All the pieces in the kit are cut and ready to assemble. 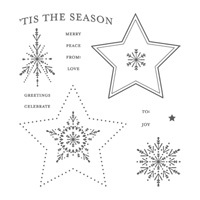 The kit coordinates with the Many Merry Stars stamp set new in the Holiday Supplement, and the Star Framelits Dies. Be sure to check out all product and order now if you like what you see - While Supplies Last! Click on product images below for more details and easy online shopping.